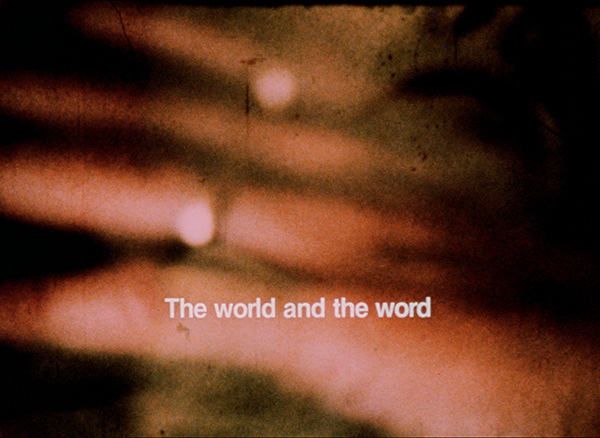 “Lamentations: A Monument to the Dead World belongs to a 35-hour film cycle, The Book of All the Dead, which comprises the bulk of Toronto-based Bruce Elder’s filmmaking from 1975 to 1994. In ancient Egyptian culture, the Book of the Dead consisted of religious texts intended to help preserve the spirit of the departed in the afterlife — but in Elder’s reading, that comforting idea of continuity takes on a rather darker cast. Lamentations is comprised of a complex audio and visual patchwork: a philosophical meditation superimposed as text throughout the film; vignettes featuring a comical but disturbing Franz Liszt, a debate between Isaac Newton and George Berkeley, an angry, deranged man in an alley, and an arrogant psychiatrist; and a final search for salvation in the forests of British Columbia, the American Southwest, and Mexico’s Yucatan. Lamentations earned Elder praise from avant-garde legend Stan Brakhage, who said: ‘I feel closer to this epic-maker Elder than to any other living film-maker’” (Jim Shedden, Canada on Screen digital catalogue). Note: Lamentations: A Monument to the Dead World will screen in two parts over two nights.